Michael Erin Busch, Maryland’s longest serving Speaker of the House, always exemplified what it meant to be a leader, particularly when it came to the environment. As a lifelong coach, mentor, and collaborator, he knew the value of teamwork and built coalitions with skill and ease to accomplish a number of environmental victories during his more than three decades in office. Speaker Busch’s district was one of the most forward thinking and environmentally sensitive in the state. He was influential in the creation and funding of the Chesapeake Bay Trust Fund that encourages restoration of our waters, supported legislation updating the state’s Critical Areas law, and broadened environmental standing rights to give citizens a voice in furthering environmental protection in the state. One of his final acts as a state legislator was pushing through landmark oyster protection laws just days ago, book ending his legacy as a champion of the Chesapeake Bay. We mourn the loss of this leader, environmental hero, and friend. As I passed through security heading into Longworth, one of the three House office buildings located on the Hill, I was immediately engulfed by the buzz of activity. From Capitol police officers escorting protesters down the hallway, to congressional staffers hustling about to various interest groups gathered together in the cafeteria, it was clear the day was already in full swing at 8:30am. Peter Marx of the Choose Clean Water Coalition, and my supervisor at Maryland LCV Ben Alexandro, discussed our strategy and overall game plan for the day, and before I knew it, we were heading to the Rayburn building via the underground tunnel to meet with Maryland Congressman Andy Harris. And so it began, we were off to the races! ffice was an effective way to make change and fight for their communities. We at LCV were determined to help translate this energy to success on the 2018 ballot. So, early in the cycle, we joined EMILY’s List, Rachel’s Network, and many of our partners in the climate and environmental justice movement to support and help prepare pro-environment women candidates to run for office. And given its success, we’re at it again, training women candidates to run for office in 2020. Our organizations work together across Maryland on environmental issues. To us, that work is an integral part of the larger work for social justice. We strive to protect the natural world out of a concern for people, communities, and future generations. People can only thrive in a healthy ecosystem on a living planet. And too often, the same racism that has deprived people of color full access to wealth and opportunity has also deprived them of access to clean air and water. 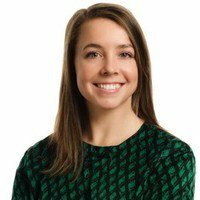 Our organizations put our faith behind Harford County Delegate Mary Ann Lisanti as she emerged to play a leadership role in advancing a critical climate initiative for our communities. But Del. Lisanti’s racist outburst calls into question her respect for the leadership, staff, volunteers, and members of our organizations, as well as the people we advocate for. Our organizations will not remain silent when the foundation of our work is to lift up communities engaging for our shared values across the state and to promote a healthy environment for all Marylanders. The act of crafting public policy as a Maryland elected official is a privilege and requires a fundamental respect for every person affected by those policies. With regard to Del. Lisanti’s comments in the Washington Post, alcohol is never an excuse for racism or racist behavior. Comparing racist epithets that dehumanize us, our partners, friends, and neighbors to mere profanity is equally unacceptable because it minimizes the past and present systems which weaponize difference. We hope that Del. Lisanti will engage in rigorous soul-searching and anti-racism, anti-oppression training that could turn this offensive episode into a truly meaningful growth experience not just for herself, but also for her colleagues, constituents, the people of Maryland, and for everyone across the country who rejects implicit and explicit racism and hatred across our nation. Our trust and confidence in her leadership is lost, especially on environmental issues that are core to our missions. Serving as a state elected official and being a state-wide leader on climate justice requires the full faith and trust of all Marylanders. Unfortunately, Delegate Lisanti spurned that trust and, as such, we believe the best course of action is for her to resign as a member of the House of Delegates. Meanwhile, there is much work to be done. We urge Governor Hogan and the leadership of the Maryland Senate and Maryland House of Delegates to pass bold laws in 2019 that underscore our state's commitment to progress in the areas of environmental health, economic justice, and racial equity as prescient matters of social justice. The Anne Arundel County Council has seven members. It takes a majority of four votes to pass any bill, including any bill to protect our environment. The Anne Arundel Chapter has endorsed seven candidates for the County Council. We are confident that, if elected, they will give Annapolis a strong conservation majority on the Council. Now we have to get them elected. This is the latest in a series of emails that focus on each individual candidate. In this edition we will introduce you to Councilman Andrew Pruski, the Democratic candidate for District 4, running for re-election. Councilman Pruski represents District 4, which covers Laurel, Fort Meade, Gambrills, Odenton, North Crofton, Millersville, and Crownsville. Find your County Council District here. 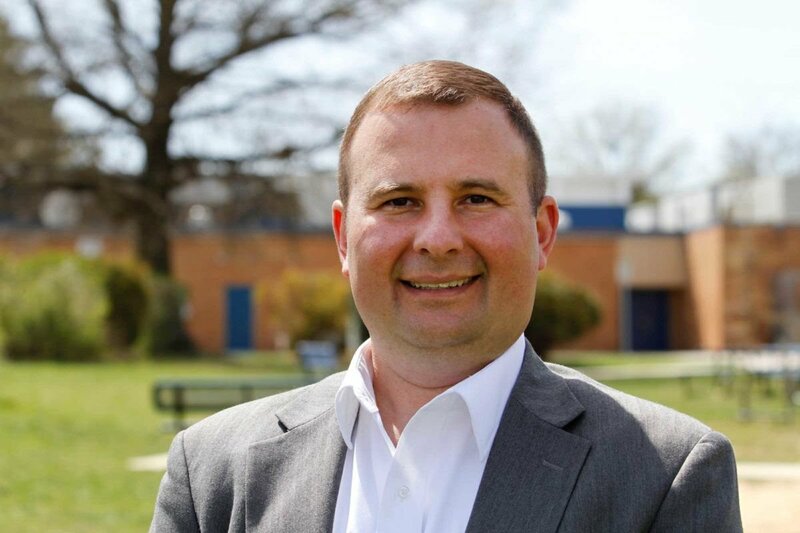 ​Councilman Andrew Pruski is running for his second term on the Anne Arundel County Council. His public service began at early age as an Eagle Scout and work as a Volunteer for the Veteran's Administration. He is running for re-election to continue his goals of supporting our public schools, public safety, protecting our environment, and supporting locally owned businesses. Councilman Pruski has been a champion for the environment for many years including his service on the Anne Arundel County Board of Appeals and President of the Four Seasons Community Association. He has fought against the two proposed landfills in West County and supported standing for communities trying to challenge unwanted development projects. There are several notable decisions that Councilman Pruskisided with the Chesapeake Bay Foundation and other Environmental Groups. As a school board member and President of the Anne Arundel County Board of Education, Councilman Pruski led efforts to include environmental literacy in the school system curriculum and was an advocate in forming the Watershed Stewards Academy. He believes that environmental education is critical to the future of the Chesapeake Bay and its tributaries. Councilman Pruski wants to play an integral role in the next General Development Plan by holding open and transparent public hearings to help make wise land use decisions. Councilman Pruski has been an advocate for involving the community in development decisions and promoting policies to protect our environment. His record speaks for itself, he has voted to keep the stormwater remediation fund, ban coal tar, and ban polystyrene foam in Anne Arundel County. You can find out more about how to contribute and get involved with the Friends of Andrew Pruski campaign by visitingwww.andrewpruski.com. You can also email Scott Howrath at pruskifield@gmail.com to assist with volunteer activities. This is the latest in a series of emails that focus on each individual candidate. 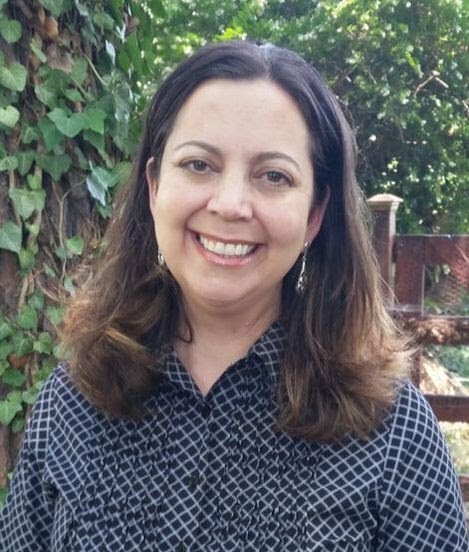 In this edition we will introduce you to Lisa Brannigan Rodvien, the Democratic candidate for District 6, Chris Trumbauer’s District. Chris is barred by term limits from seeking another term. District 6 covers Annapolis Neck. Find your County Council District here. ​I am running for Anne Arundel County Council District 6 to help improve and protect the quality of life for ALL of our county’s residents. We are privileged in Anne Arundel County to be part of an amazing and diverse community set in a beautiful and unique landscape on the Chesapeake Bay. In recent years, however, the fast pace of development in our county has strained our county’s schools, our infrastructure, and environment. As we update the county’s General Development Plan in 2019, I will advocate for a transparent and inclusive process that gives all stakeholders a seat at the table and that ensures finite and fragile environmental resources are treated with great care. I will also work towards ensuring that our public schools provide excellent education for ALL children so that today’s young people can have prosperous futures right here in Anne Arundel County. Furthermore, I will work towards improving the availability of mental health resources in our county for people of all ages. School counselors in AACPS are currently tasked with serving as many as three times the number of students recommended by national organizations. The number of mental health care providers for adults, even those with insurance coverage, is insufficient to serve the needs of our community. Expanding access and availability to mental health care in our community will be a critical component in stemming the addiction crisis. Finally, I will work to create an county that is welcoming to immigrants and does not create undue fear for those who are simply working to live peaceful and productive lives in our county. You can find out more about how to contribute to and get involved with LISA’s campaign at www.lisarodvien.com. Please join us in supporting Lisa on Thursday, September 6th at the Quiet Waters Park Blue Heron Center from 6 until 8 pm. Do you remember moving into your first apartment? I loved that feeling of independence. Along with finally being able to sort the recycling and start a compost pile that my roommates hated, I remember looking at our energy bill wondering how we can start to be a part of the clean energy revolution and fight climate change as consumers. I had already convinced the roomies about energy-efficient lightbulbs and turning off the lights. However, when I talked about solar panels and wind turbines, they immediately shut me down. Now that I’m all “grown-up” and some of my “roommates” are my young son, a turtle, and a rambunctious dog, I can make a few more choices about my energy usage, not to mention still drive everyone crazy with compost ideas, rain barrels, and a garden that has grown a bit wild. Through my work at Maryland LCV, I’ve worked on landmark legislation that helps all Marylanders combat climate change. In 2015, the General Assembly passed a fantastic law called the Community Solar Act (HB 1087). This is the pilot program that really changes the way we think about solar energy and who can benefit from its increased usage. Homeowners who have looked at solar and determined that their living situation cannot support solar panels, they can still benefit from solar power. In addition, the law expands the benefits of solar to renters, churches, and others who have not been able to participate before. The great thing about community solar is that anyone and everyone can join in. In states like Minnesota and New York, community solar has really taken off. And now it’s Maryland’s turn. With community solar, you can “share” the power generated at a nearby solar farm. You have the option of paying no upfront fees. There are no rate hikes and no surprises. Simply put, community solar is the wave of the future. Your solar will come from a local site within Maryland and you’ll be helping Maryland grow in solar energy. You’ve heard about the blue wave, you’re experiencing the heat wave, and you know there is change in the air. I am excited about what we are seeing all across Maryland- a Green Wave. Last month’s primary election was an affirmation of what we’ve known here at Maryland LCV all along- people want leaders who will stand up and protect the environment. Over the past year, we endorsed 117 candidates around the state. On June 26th, 106 of them won their primary bid- a 91% success rate! We could not have done it without you, Dannielle. 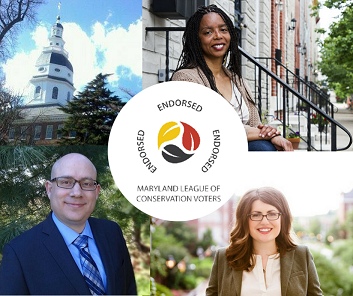 When these candidates win in November, we are excited to work with them from their first day on our environmental agenda that represents Marylanders in the General Assembly. Together, we can continue to advocate for strong environmental policy in Maryland and exceed our goals for smart climate policy, clean water, public health protection, and open spaces for every Marylander. With the right leaders in office, we can move the needle in favor of common sense legislation and regulations. That’s why we go through a strenuous endorsement process and publicize to the public who the environmental candidates are.